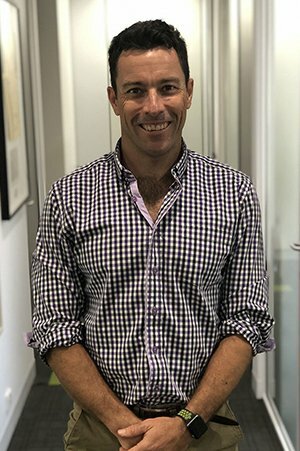 Nathan joins the team at SquareOne Bridgepoint bringing with him the over 7 years experience working in sports and musculoskeletal physiotherapy on Sydney’s North Shore. He understands that successful injury management and recovery happens when he can take a patient from diagnosis, to understanding the underlying cause of your condition through to full rehabilitation and return to your chosen activity or sport. Nathan feels that restoring normal movement and strength is the key to recovery. With this in mind, he fits in well with the SquareOne Pain to Performance philosophy. Nathan has an interest in all sports and activity. He can be found in the clinic leading a Pilates group, or taking rugby players though a rehab program. He works with those who are injured at work or on the sporting field, or who are seeking ways to improve their performance.